Between 2008 and 2010, the number of registered drug addicts in Pulau Pinang increased from 1,622 in 2008 to 3,753 in 2010. Tokong’s Political Secretary Wong Hon Wai must have been smoking something when he told reporters yesterday that Pulau Pinang has better anti-corruption initiatives than that of the MACC. Probably, he has been breathing the same air as the Tokong for far too long and has become as delusional, or psychopathic, as the Tokong has. Pay a company 400 times more than the scheduled fees according to the Board of Engineers for a feasibility study. Suing every journalist that questions or highlight the lack of integrity of the Pulau Pinang State Government. 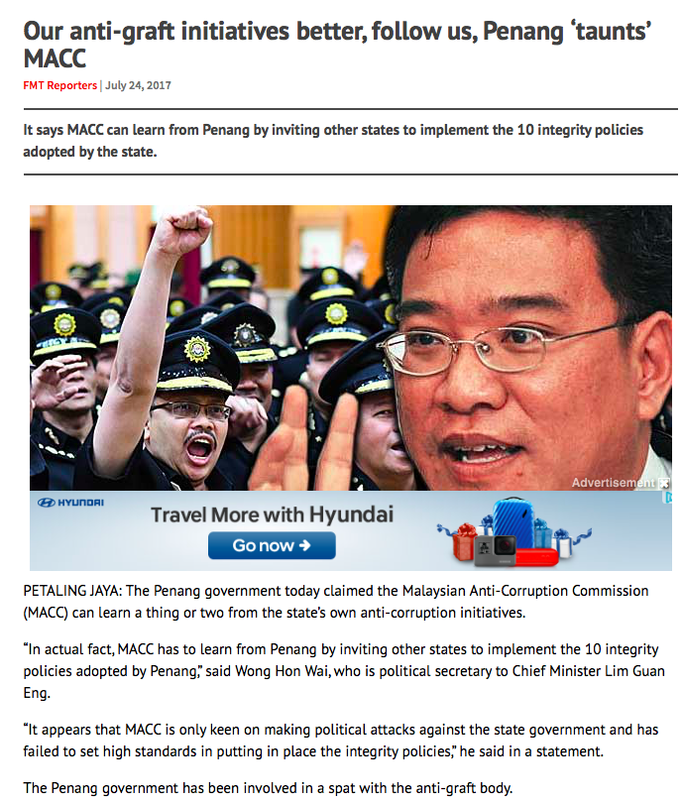 So, if the standard of anti-corruption in Pulau Pinang is higher, then Wong Hon Wai should just tell the state government to sign the MACC’s pledge because there should not be any compliance issue. I challenge you, Hon Wai, to do so.